Got a big task? Break it up! So, I couldn’t find a good picture that really encapsulated what I’m going to talk about today, so I’m going with pieces to a puzzle. Trust me, it’ll make sense. Tomorrow, I’ve got an 18 mile training run as part of the build-up to the NYC Marathon. I’ve covered this distance three times before: twice during training runs for the Marine Corps Marathon in 2013, and the MCM itself. All times, the task seemed impossible. How do you run for 18+ miles without taking an hour-long nap in the middle of it? How do you tackle ANY large, daunting task in front of you? The answer is: break it up into smaller pieces. The human mind works best when it thinks of a large undertaking as a set of smaller tasks that all fit together. If the task is too big, we may get scared off. We may not know where to start, and so we don’t. We don’t begin to run, or we don’t begin to create that new piece of software. When we break the task into smaller, more manageable chunks, things become easier. Can’t run 18 miles? Don’t worry…you can run six miles, three times. Don’t think about creating a business. Think about creating a concept for a product. Think about the marketing you would like to do. Think about the target market. 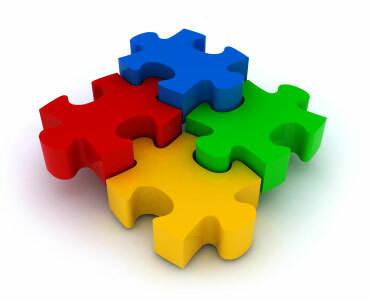 You’re psychologically seeing smaller pieces to the overall puzzle, and not the totality of it. If we can cut down a project into meaningful components, it’s relatively easy to piece the components together and conceptualize the larger solution. The key is to make sure that the components are meaningful. For me, running is the same way. It’s hard to really think about running for that long. 18 miles takes a long time, it requires a great amount of physical distance to cover, it requires a lot of nutrition and fuel. Thinking about it as one 18 mile stretch can paralyze you into not even lacing up your shoes and heading out. By breaking it up into those smaller chunks, it becomes easier. I have a nice, six mile loop that I often run. Three of those loops is 18 miles. For nutrition and hydration, 18 miles requires a lot of planning. Rather than think about how much that takes, I can break it up into smaller sets. Six miles is about an hour, so I probably need 20 oz. of water and 100 calories of carbs. That breaks down into one handheld water bottle and three Clif Shot Bloks chews on each loop. Since my loop goes by my house at the end, that makes things easy. Suddenly, running 18 miles isn’t too daunting anymore. I can easily run six miles, and I can easily do three loops. I can easily drink 20 oz. of water and I can easily eat three chews per loop. That’s a whole lot of “easy” in there, something you wouldn’t think would be associated with a run that long. The key to tasks such as this is smaller, manageable chunks. This applies both to running and life events in general. So think small, go forth and conquer! This entry was posted in Health & Fitness, Running and tagged Running by JB. Bookmark the permalink.